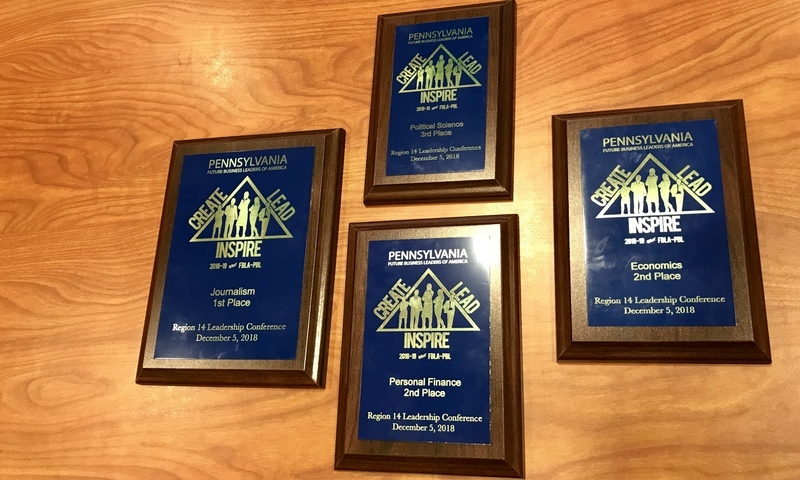 Students who are a part of FBLA – Future Business Leaders of America – did so well in December at the Regional Leadership Conference at Elk County Catholic High School that many are headed in April to the State Leadership Conference in Hershey to compete against other students from across the commonwealth. Teacher and FBLA adviser Carri Donmoyer said the event includes about 5,000 people. Those who then place at states are eligible to compete at the national level, which is this year held in San Antonio, Texas. Last year, student Luke Wilson was the lone BEA representative to compete at nationals held in Baltimore. FBLA is a high school organization that helps students prepare for careers in business through academic competitions. It also helps enhance students’ skills in leadership and professionalism.